Best Tips for Drying Clothes Indoors! 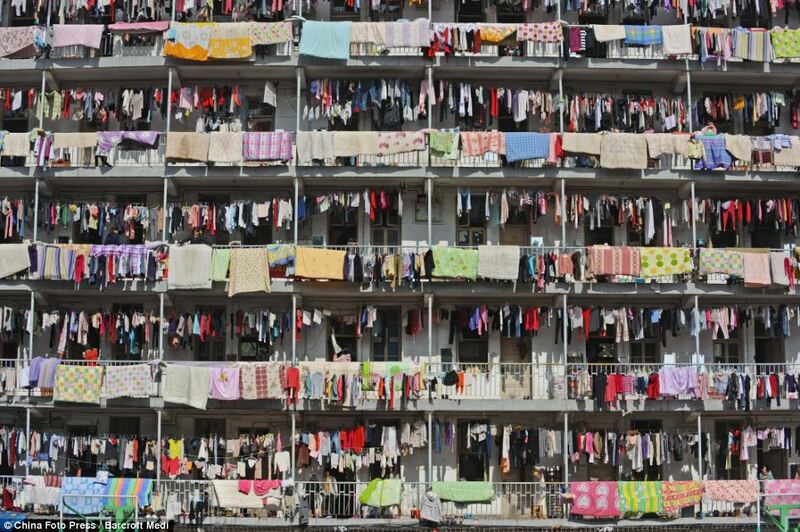 Drying clothes has always been the dilemma for the people who are living in either flats or apartments. Earlier, many people used to live in villages or small towns hence this problem was unknown as people used to have a backyard or a courtyard where they could easily dry their clothes. In the cities, due to lack of space, people are living in a small flat which are usually over crowded. Also, poor people live in slums where not enough space is available for drying clothes outdoors. The problem is severe in developing countries where people can’t afford clothes dryer. Also Read: Drying Clothes: Homemaker’s Headache! Drying clothes outdoors is great, but it doesn’t work every time, i.e. in monsoon, because of the humidity, the clothes give bad odour which is sometimes difficult to bear. Open balconies are also not a good solution as it would not work during monsoon, particularly when rains continuously for 2 to 3 days. In such situations, you should try drying clothes indoors! Also Read: Covered Balcony Ideas for Your House! As many start-ups and artisans saw an opportunity in this problem, they have come up with various devices such as drying racks in form of sliding, movable, wall mounted, etc., clothes dryer, washing machine, etc. Many of clothes drying racks are folding also, so that you can just fold it when not in use and use the space for another purpose. However, it should also be noted that this drying rack also needs a space. With the availability of new drying rack and clotheslines, you can make smart use of all that ‘invisible’ indoor space to help you keep on top of all that drying and save money on electricity! The first and very simple option is to look around in your house, to find out where the clothesline can be tied. If you reserve some space for drying clothes in your house, hang your clothes on the clothesline which is tied between two nails on the wall. 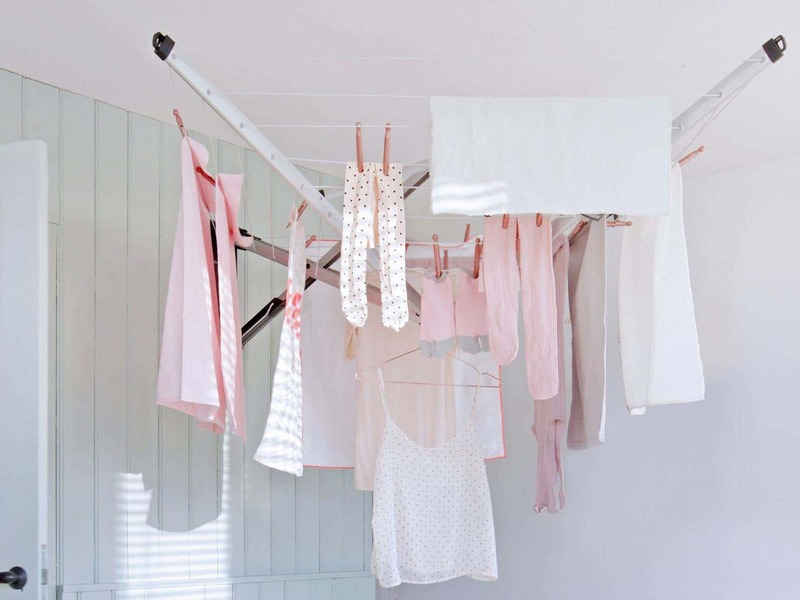 During winter months, the sunlight is scarce and due to that clothes take a little bit long time to dry. In this situation, you can dry your clothes on clothes drying rack. In modern and luxurious apartments, builders have started providing dry areas, in which space the people, can utilize this space to dry their clothes. These days, drying rack of various shapes and size are available in the market. These racks not only look good but also provide a great way for air-drying clothes. Also Read: Home Decor Tips for this Monsoon! 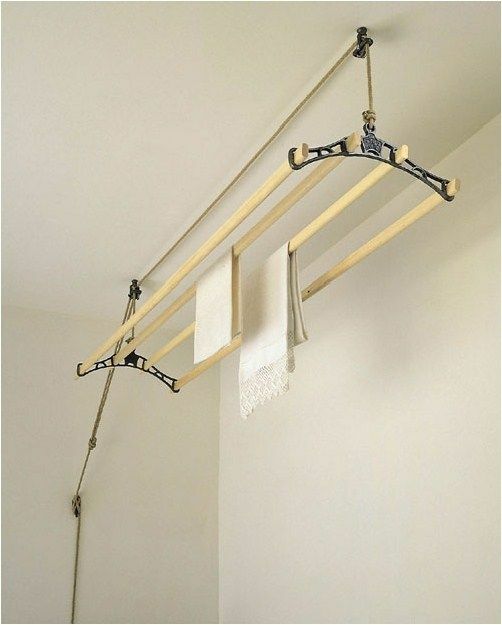 Ceiling clothes drying rack is most popular in an apartment or flat i.e. Balcony, due to the lack of space. They hung from the ceiling, provided with the pulley system, so you can pull it down, hang your clothes, and pull it back up, much like a window blind. They are perfect indoor solutions for drying clothes and using the space you have. Different types of ceiling clothes drying rack are also available in the market as shown in fig. 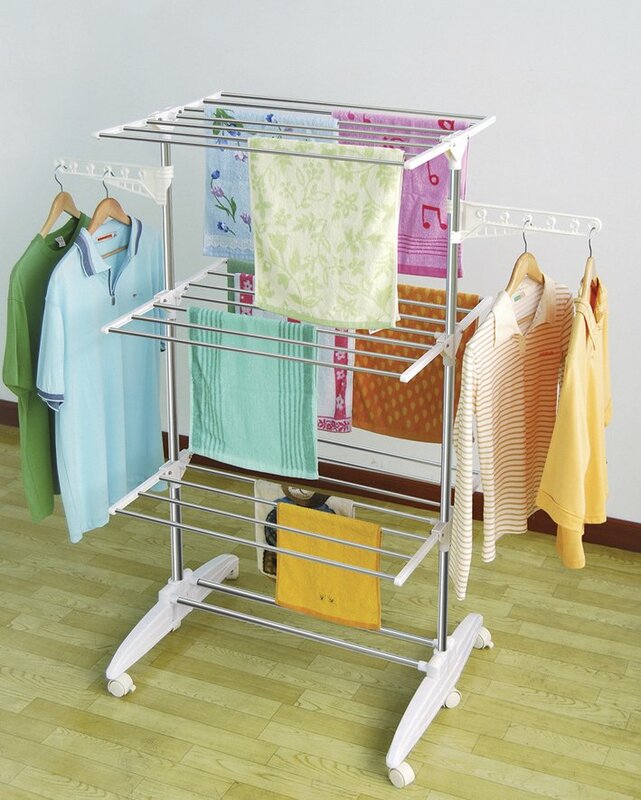 Foldable clothes drying rack is made of stainless steel. As stainless steel is rust proof, you don’t have to worry about stains on your clothes. It can hold more numbers of garments. You can fold it when not in use. It saves the space in your house by getting this type of foldable clothes drying racks. It is available in a variety of shapes as shown in fig. 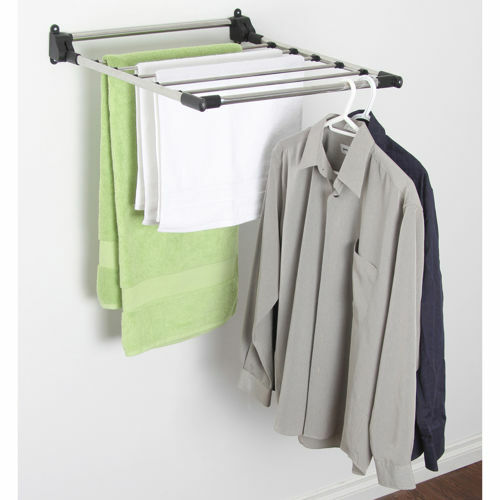 X-Types Clothes Drying Rack is one of the oldest, most famous style of clothes drying racks. The X-frame type drying rack is able to hold a number of garments. It is lightweight and collapsible. These are a good choice for air-drying heavier clothes or throw rugs. X-Types Clothes Drying Rack is made of stainless steel, wood, aluminium, galvanized iron, plastic, etc. and is available in different sizes. Rolling Clothes Drying Rack is very useful for anyone without the time or space to set up a clothesline. They are real space saver! You can easily move the rack because of the rolling arrangement in the rack. They are made of stainless steel and hence rust proof. 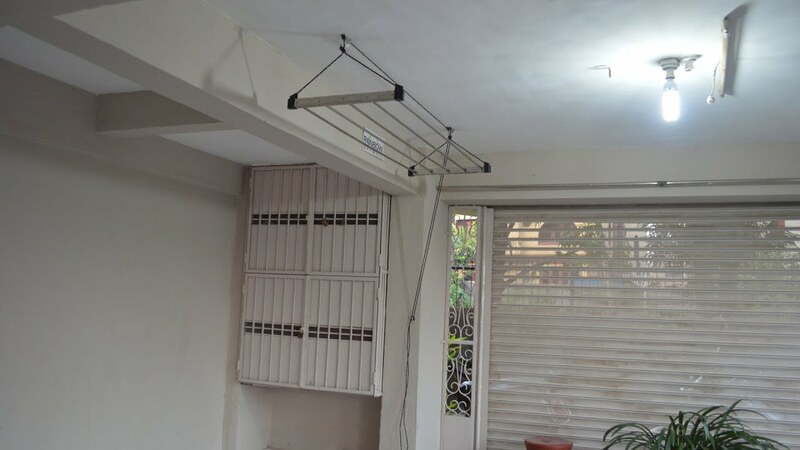 As drying space becomes less and less, using a wall mounted clothes drying rack for clothes is becoming much more popular alternative for those who did not have enough space for a conventional clothesline. It is useful for small clothes like hanky, socks, etc. You can use it anytime and when not needed, you can close it. Here we give different types of wall mounted clothes drying rack as shown in fig. Expandable clothes drying rack is ideal for drying delicate clothes like towel, socks, etc. It folds neatly for easy and discreet storage. No matter what size load you have or what space you have to set up, you can adjust this rack to fit your needs. You can fold it when not in use. 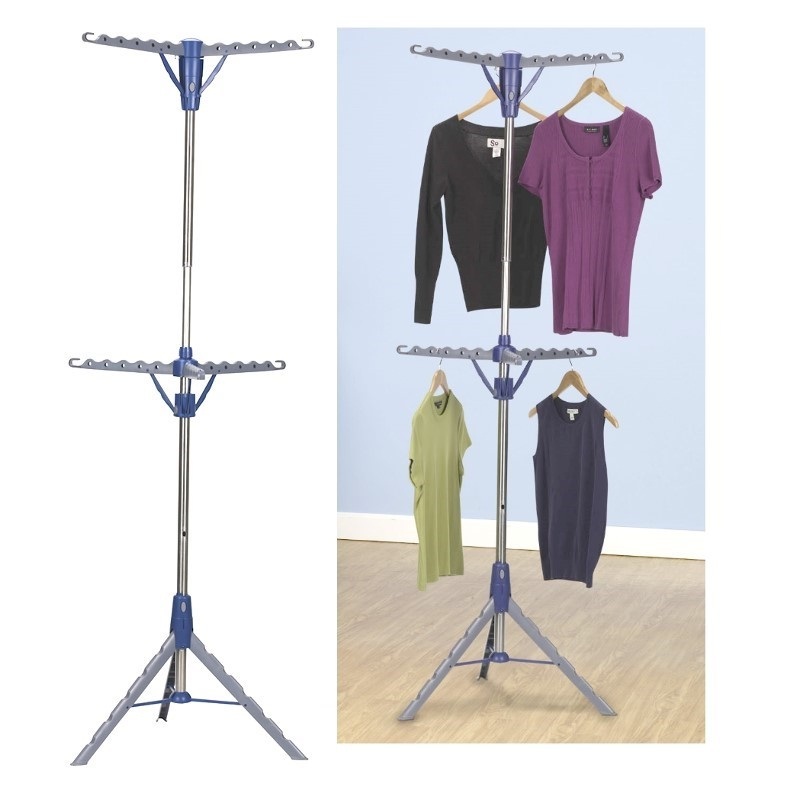 The portable tripod clothes drying rack is versatile and self-standing. This type of rack is ideal for longer garments like shirts, dresses, etc. The curved arms have grooves that hold almost any plastic or metal hanger. It easily folds for compact storing. 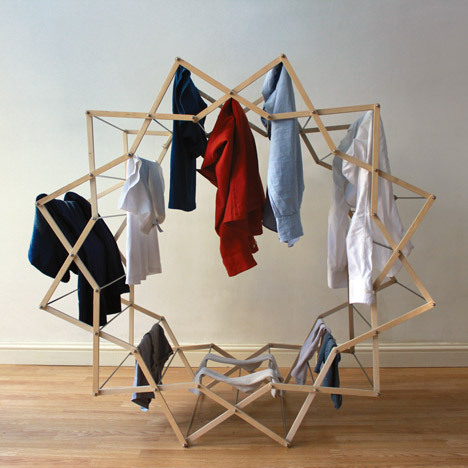 Star Shaped Clothes Drying Rack creates more space for drying clothes. It is perfect for the small space living. It is very easy to unfold. Star shaped of drying racks gives a beautiful look. 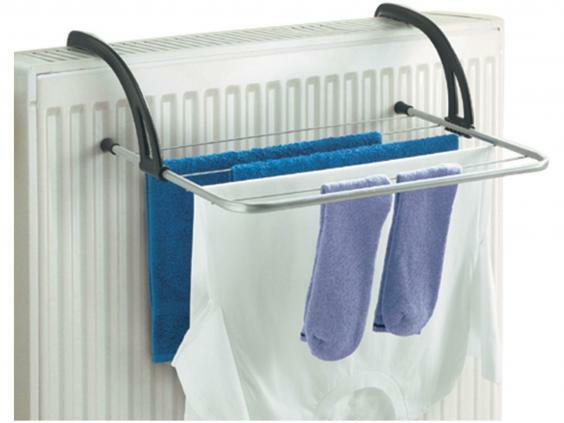 Radiator clothes airer is another option for drying clothes indoor. This radiator airer can be placed on anywhere around the home. It is ideal for the balconies, windows, doors, etc. for drying clothes on the radiator airer, just hook this over the heater. This is the perfect solution for quick drying smaller clothes like hanky, socks, towels, etc. It is foldable when not in use. The drying rack perhaps would be more useful in monsoon as they can be placed inside the room also when it is raining. But also keep in mind if clothes are not squeezed off of water, the floor below will become wet due to dropping water. The clothes dryer is another option for drying quickly. But it destroys the quality of clothes. Further, everyone cannot afford to buy clothes dryer machine because it is not within everybody’s reach. Nowadays washing machine is more popular as a clothes dryer. Choose the option of the fastest spin cycle on the machine, so the clothes spin with more speed. Hence the clothes dry easily in the machine. It is very useful during monsoon season. 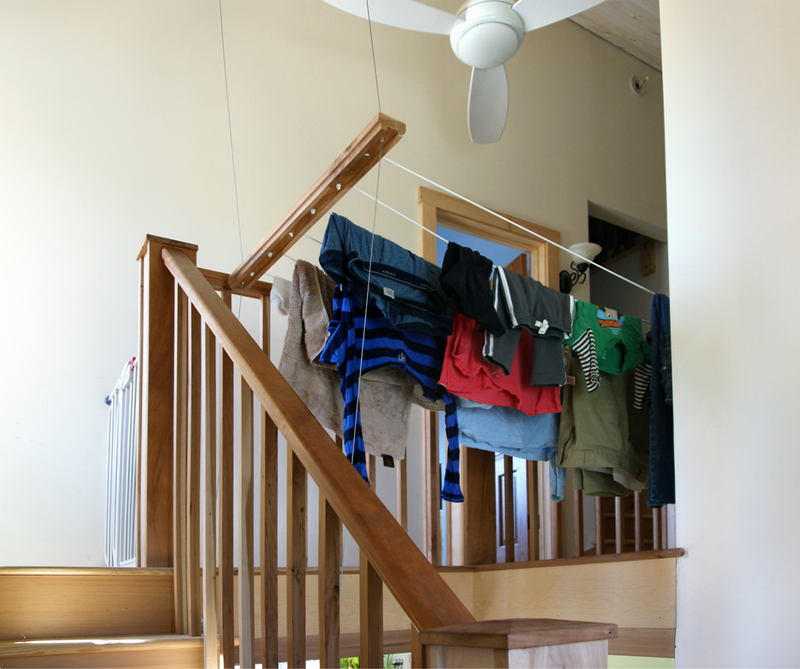 A long staircase also provides a suitable and practical place for drying clothes indoors. Particularly, in small houses, these few cubic meters of additional usable space are suitable for drying clothes. You can dry your clothes on stair railing without any additional efforts. But this is of course the hopeless resource for the helpless persons and hence not desirable as the railing would loose the purpose for which it is meant. The best option to dry your clothes during monsoon season is to dry your clothes on window covered with the grill. This is the best option for people who live in the apartment or flat. People also use fan for drying clothes during monsoon. But it gives bad look and odour within your home. The drying clothes on plastic peg round hanger is best option for small clothes like hanky, towels, socks, etc. You can hang anywhere around the house. It is most suitable for drying clothes of small kids. 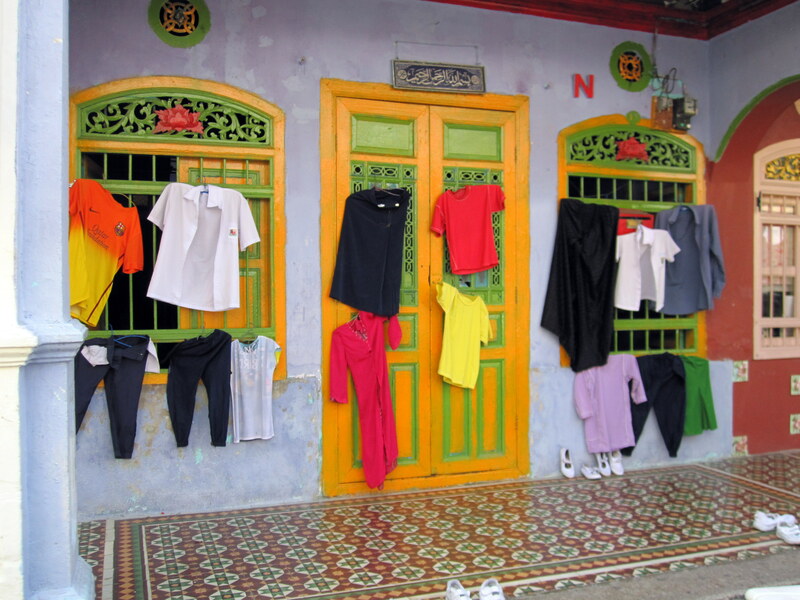 The crude simple option for drying clothes is the ladder. On the ladder, you can easily dry your clothes as per your needs. These all indoor clothes drying tips which have been adopted at one or other place. We hope one of them might be helpful for your home.